Bif Naked was born in secret to a teenager living in India, the product of a Canadian girl and a British boy. She was rejected by both families, hidden away in a mental hospital and adopted by missionaries and then moved to North America. 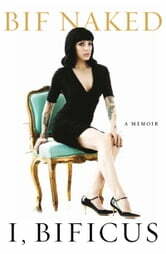 She began what she recalls with ironic humour as a “charmed life.” Targeted by girl gangs and facing other abusive situations, she escaped this early life by joining a punk rock band and leaving on tour, where she married the drummer and hit a downward spiral that found her on the floor of a Vancouver drug den. Through it all, her creative personality and unstoppable humour were her weapons of self-defence. Bif showcased her life’s journey in tattoo ink across her body and, with her unique ability to transform her true life stories into song lyrics, she found her voice as a solo artist, started her own record company and at twenty-three years of age became an international recording artist. Throughout her remarkable career, armed with her singular talent and instantly identifiable look, Bif would captivate the imagination of audiences and media alike, releasing nine albums and twenty-one videos. She embarked on seemingly endless international tours, several feature films and multiple television roles, only to be struck down with breast cancer at the age of 37. Bif would discover her passion for advocacy, as a triumphant survivor and someone who helps others first. 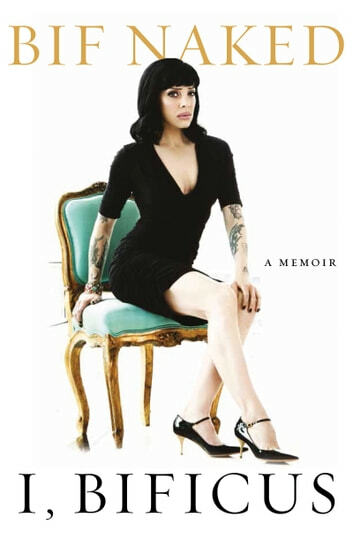 This is Bif Naked’s story so far . . .
A woman before her time. I loved this book, as a girl born in 88 and grew up in the 90s/00s bif was so cool to look up to. Someone who wasn't scared to be herself she was different from most of the women that you'd see in the media. To know everything that she went through in her life and to still have the brilliance and strength to get where she has got in life was wonderful to read. She opened up so many Avenues for women in the industry to be who they are and what they want to do I wish her nothing but the best in the future. Having been a fan of Bif's for many years, this is an amazing journey through her life! Thank you for sharing with us Beth! Namaste!